[March 23, 2017] LINCOLN - The face of hunger may surprise you. 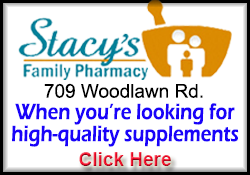 It’s the family of four where both parents work extra jobs to cover growing expenses. It’s the single dad trying to care for his children while attending night classes. It’s the senior citizen stretching his social security check to cover both medication and food. It’s the young high school graduate skipping meals to cover expenses of her first apartment. Although Illinois is a leading producer of agricultural commodities, one in five Illinois children experiences hunger. 4-H is answering the call to help struggling families in their local communities through the 4-H Feeding and Growing program. 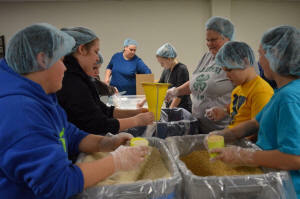 Since August of 2013, Illinois 4-H members and volunteers have paid for and packaged 436,197 meals in partnership with Illini Fighting Hunger, a University of Illinois student group which looks for local solutions to hunger. The rice casserole meals include long-grain white rice, a blend of vitamins and chicken flavoring, dehydrated vegetables and textured soy protein. “The balanced, nutritious meal provides 16 essential vitamins and minerals and is easy to prepare,” said Bill Million, U of I Extension 4-H youth development specialist. Families are also provided easy recipes using the meal ingredients. 4-H volunteers form assembly lines, and the separate ingredients are combined in plastic bags and sealed for distribution to local food pantries. 4-H members in Logan, Menard and Sangamon Counties are helping feed families in need. On March 6, 45 volunteers packaged 10,182 meals which will be distributed to local food pantries in Auburn, Loami, Tri-City, Petersburg, Greenview, Lincoln, Springfield and service organizations, including Community Action Partnership of Central Illinois. Funds from the Illinois 4-H Foundation through a donation by Evelyn Brandt Thomas help support the 4-H Feeding and Growing Our Communities program. One may join the fight against hunger here by contacting 4-H at 217-732-8289 Logan County; 217-782-4617 Sangamon County; 217-632-7491 Menard County. 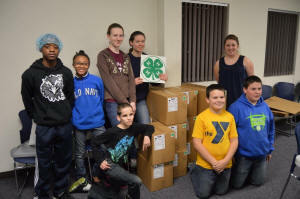 About 4-H: Illinois 4-H helps youth learn skills for living. University of Illinois Extension provides 4-H programs in every county in Illinois. Illinois 4-H impacts the lives of 200,000 youth each year through sustained learning clubs and groups and short-term programming.